Welcome to the Mississauga page! Mississauga, is the city I was raised in. I lived in Mississauga almost my entire life and am very familiar with all areas in it. Mississauga is the sixth largest in Canada and third largest in Ontario. The estimated population is 700,000. The 905 area code makes up the cities local number. Our Mayor is Hazel McCallion. She has been relected for many terms now and Mississaugans are VERY proud of her hard work and love for the City. Mississauga is rich in tourist attractions, shopping malls, cultural facilities, parks, entertainment, nightlife and much more! Click here for Public Schools in Mississauga. Click here for French Emersion Schools in Peel. Click here for Top Employers in Mississauga. Click here for New Condo Projects in the GTA . Click here for GTA city services. 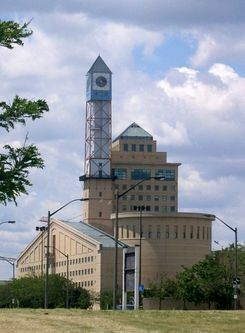 Click here for Foreclosures in Mississauga. Click here to find out What your Mississauga Home is Worth. Click here for Homes for Sale in Mississauga. Click here for Mississauga's website.